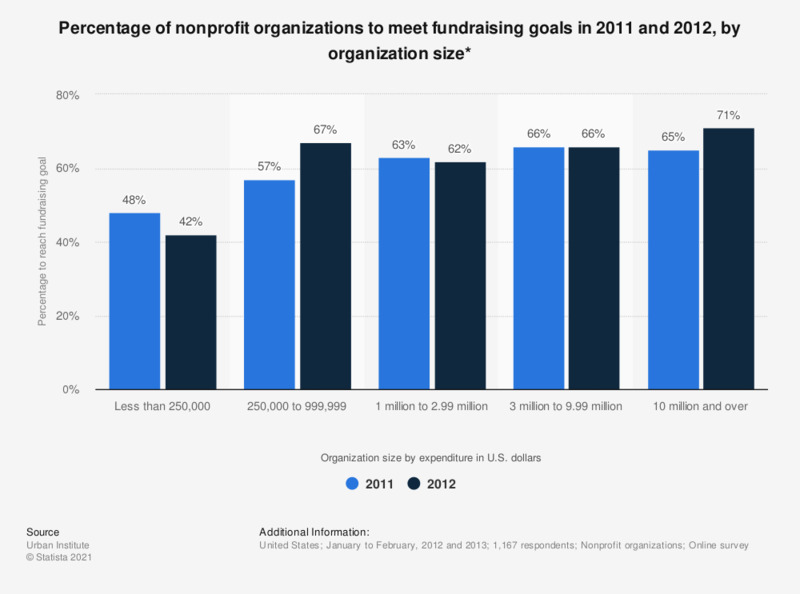 This graph shows the percentage of U.S. nonprofit organizations that met their fundraising goals in 2011 and 2012 as distinguished by organizational size. In 2011, 48 percent of nonprofit organizations that had an expenditure of less than 250,000 U.S. dollars, were able to meet their fundraising goals. *Organization size is based on expenditure in 2011 according to the IRS form 990. When the details of this form were not available, organization size was then based on respondents answer to another question in this survey on operating budgets.